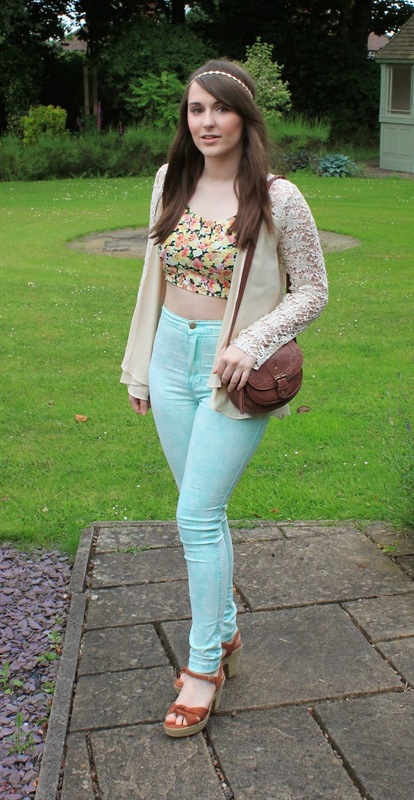 Style for less #3 - Entire summer outfit for under £45! Tonight I wanted to share with you some lovely items I was lucky enough to receive today, which I actually think go perfectly together to make a budget friendly summer outfit!! Firstly, the lovely floral crop top you see is from Miss Pap. You can actually wear it two ways as either a halter neck or just a normal strappy top - which is perfect for getting more looks out of the one item! It's also elasticated at the back which makes it such a comfortable and flattering fit! The top is priced at £11.99 OR you could use my discount code GABBY10OFF and get it for only £10.80. The code applies to anything on the website - so go check them out and grab a bargain! (The top is part of a 2 piece as well if you're looking for the perfect summer co-ord!). The other lovely items you see are from the wonderful people at Hidden Fashion! You might be wondering how I can wear jeans in this heat BUT they are made from a lovely thin material (which is super soft btw)! I love the washed out minty colour of them and I think because they are high waisted they fit together perfectly with the floral crop top as they show just the right amount of my tummy! The jacket, also from Hidden Fashion, is beautifully made with a lace detail back and I just think it finishes the look off perfectly! Can you believe the jeans and the jacket are only £4.99 each!! What a steal!! The bag was another recent bargain find from Primark - again only £4.99 and the shoes were from Newlook a while back (under £20)! This gives you a total summer look for under £45 which I think is pretty damn good! And thanks for leaving your blog link I will check it out ! Can't believe how affordable this outfit it is!! I love how you styled it. 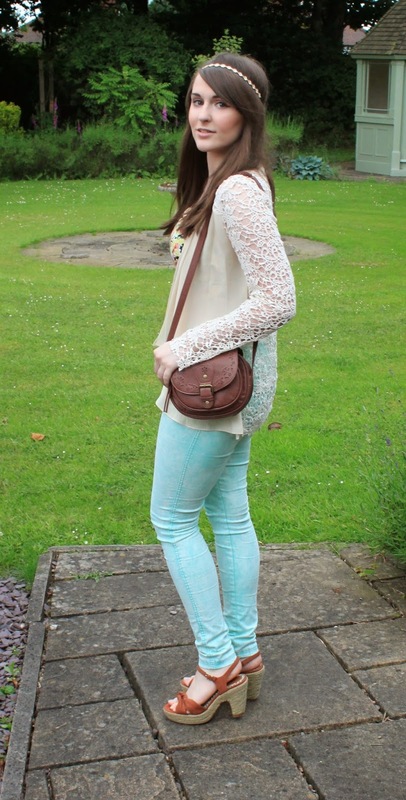 The color of your pants is so pretty :) Lovely summer look! Would you mind visiting mine,and following if you want?